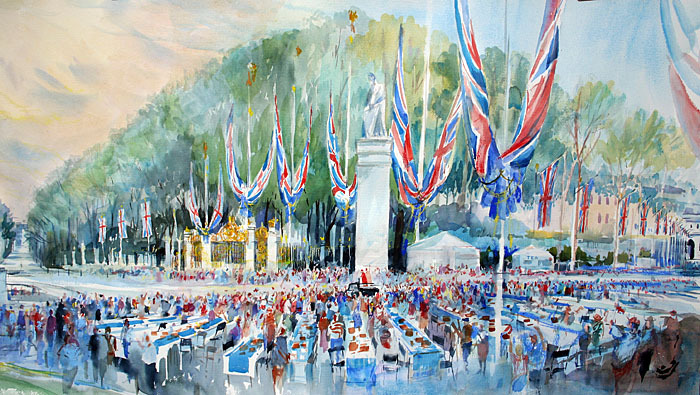 On June 12 2016, Mike was honoured to be asked to create a painting celebrating the Queen's patronage of over 600 societies. 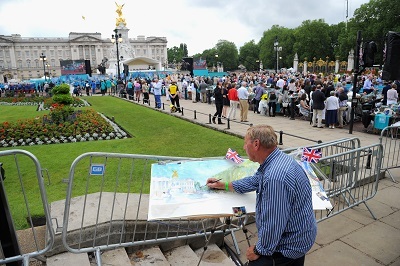 10,000 people attended a giant street party, outside Buckingham Palace, with the Royal Family in attendance. Dispite severe rain for most of the morning, Mike attempted a 5' by 2' watercolour painting to capture the excitement of the event. Mike painting at the Mall, capturing the spirit of the royal street party. 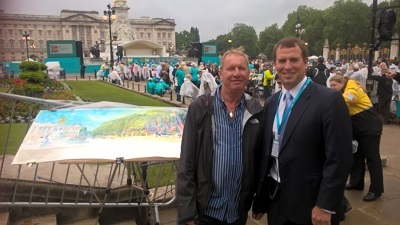 Mike with Peter Phillips, the Queen's grandson, who organised the event.